Management of advanced cardiac disease increasingly involves implantation of permanent devices aimed at improving morbidity and mortality. These devices, specifically implantable cardioverter-defibrillators (ICDs) and left-ventricular assist devices (LVADs), are usually intended to remain in place and function until death. However, with the heart failure community’s growing awareness of benefits of hospice and palliative care, greater attention is shifting to helping patients with end-stage cardiac disease enroll in hospice and die outside of the hospital setting. What is the role for implantable cardiac devices at end of life? When and how should these devices be deactivated? How do hospice clinicians engage in conversations with patients and families about cardiac device deactivation? 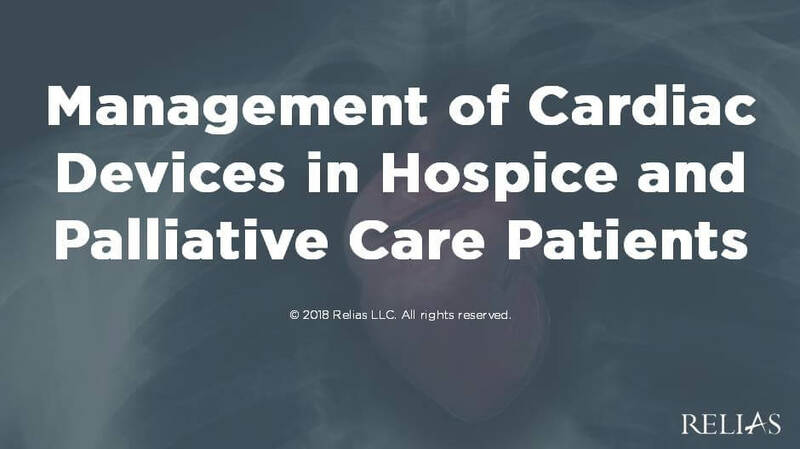 In this course, participants will cultivate awareness of these issues to better serve hospice patients with advanced cardiac disease. Identify basic components of ICD-pacemaker and LVAD devices. Determine indications for ICD and LVAD device deactivation at end of life. Formulate symptom management plans for device deactivation in hospice settings. Dr. Groninger serves as Director of the Section of Palliative Care at MedStar Washington Hospital Center and as an Associate Professor of Medicine at Georgetown University. He also serves as Program Director for the MedStar Health/Washington Hospital Center hospice and palliative medicine fellowship program. Dr. Groninger is also a Master Facilitator with the Education for Palliative and End-of-Life Care (EPEC) Program at Northwestern University and Adjunct Faculty in the Center for Biomedical Ethics and Medical Humanities at the University of Virginia. His research interests include palliative care delivery in cardiovascular medicine, innovative symptom management strategies, word choice in complex communication, and the medical humanities. Disclosure: Hunter Groninger, MD FACP FAAHPM has declared that no conflict of interest, Relevant Financial Relationship or Relevant Non-Financial Relationship exists. The target audience for this course is: Nurses; Physician Assistants; Physicians; in the following settings: Palliative Care.